Asics is one of the sturdiest running shoes around. Value for money. I wish that pair has zero drop heel though and with no hard plastic torsion (underneath) to interfere with natural foot gait. 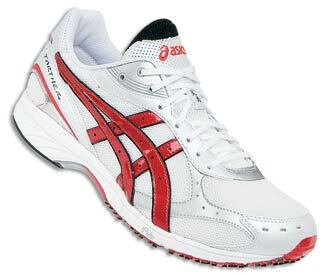 Asics should make its minimalist or racing flats shoes available here in the Philippines. Most Asics we see in sports stores are old, dusty and perhaps, with materials about to crack for being on display for so long. Even expensive in those conditions. I will be looking forward for your review. Tarther is the mainstay of Japanese racing flat and only available in U.S last January. At 7.2 oz, it could be one of the lightest running shoes in the market. i wonder how many pairs you have? Sir Jovie, great shoes again as always! Hope to see those shoes in Milo. I remember you also wore great looking asics racing shoes last year. I agree with classifying it as a good marathon shoe, by the way. It’s a great racer with just enough midsole to go the full distance.